The Vancouver City Council meets the first through the fourth Monday of each month except Monday holidays. More information about the Vancouver City Council. View all archived videos. Most recent videos listed below. Complete coverage of the April 22, 2019, Vancouver City Council meeting. Complete coverage of the April 15, 2019, Vancouver City Council meeting. 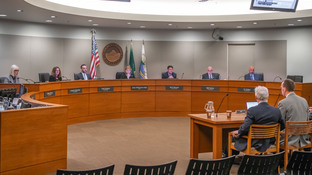 Complete coverage of the April 8, 2019, Vancouver City Council meeting. Complete coverage of the April 1, 2019, Vancouver City Council meeting. Complete coverage of the March 25, 2019, Vancouver City Council meeting. Complete coverage of the March 18, 2019, Vancouver City Council meeting.